I like that the city supports my creative practice by having such a vibrant art scene, including international galleries such as Nottingham Contemporary, through to smaller independent galleries that are great at supporting and working with students. 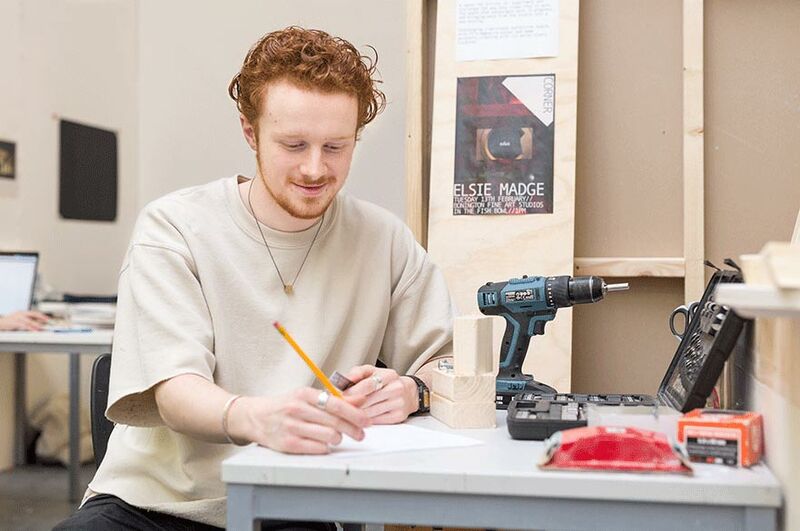 "What is so fundamental to Fine Art at NTU is that the course is constantly building on my own practice, so that when I graduate I’ll be set for continuing to work on my practice as an artist. Through the course I like learning about artists, current issues and contemporary art. NTU has given me so many opportunities to learn from international practicing artists, that will inspire me through my career." Has the course offered any unique opportunities? “The Fine Art course has given me opportunities to exhibit in galleries such as the Surface Gallery in Nottingham, as well as exposing me to the variety of volunteering opportunities and residencies that without NTU I wouldn’t have been aware of." Has the course included any guest lectures from industry? If you had to sum up the Fine Art course in 3 words, what would they be?